I am an experienced public speaker and give lectures and talks about gardens and gardening, as well as hosting informal Q&A sessions. I have recently put together a PowerPoint presentation on the discussion-provoking subject of ‘downsizing’ – including many wonderful pictures by Jonathan Buckley of my old large garden, (Ketleys – East Sussex), and the progress on my new village garden in nearby Wadhurst. If you would like to discuss booking me for a talk, please contact me at helen.yemm@telegraph.co.uk. We would be delighted if you are available and willing to talk to our Group on Saturday April 4th 2009. We are a collection of very keen gardeners, some are professionals, who meet in mid-Suffolk (Stowmarket area) at 2.30 pm with 80-90 members attending the talks. If this is possible, I’d be grateful for your fee, travel expenses and topics. Dublin. We are a club of over 250 members, founded by Dr. Mary Toomey just twenty years ago. We should be delighted if you could visit our Club to give a talk. We meet on the 4th Tuesday of the months, September to May of each year. The following dates are free: 27 October O9, 24 November 09, 26 Jan 10, 23 Feb 10, 23 Mar 10, and 27 April. Hope you can manage one of these dates. If you are free to make one of these dates, please let me know your fee, expenses and the various topics you speak. Hope you can reply soon as I am trying to slot in other speakers for whatever dates you do not choose. 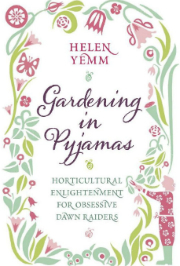 Dear Helen Yemm – I am a member of *Sevenoaks U3A Practical Gardening Group, and we would like to come and visit you as suggested in your Telegraph Column of 7 March. There are about 10 in our group and we could come on either 22 or 23 June if you have time to see us. * you may remember coming a speaking to us a couple of years ago. I avidly read your “no nonesense” column in the Sat. Telegraph. I sadly missed the evening that you went to talk to The Mary How Trust in Pulborough, West Sussex this year. My girl friend remarked how great you were, ( she is not a gardener ). The reason I am writing to you, is to enquire if you could come and give a talk to the U3A Garden- Club in Cranleigh Surrey? We have a membership of 170 members and we are always keen to have some “special” speakers. If it is at all possible in your busy shedule. Would you be free sometime in 2011? We meet the 1st Thursday of each month @ The Art Centre in Cranleigh, Surrey. October thru to April. May and June we take a coach to differnt gardens for a visit. If you can also cope with a coach load to visit your garden, even better. From Ash (near Sandwich) Horticultural & Cottage Gardeners’ Society. Now with a name like that, how could you resist coming to see us? (privately, we’re just the Ash gardening club). We’re about 80 strong, but nearby Sandwich (with the Salutation Garden, head gardener Steve Edney) has no garden Soc, so we are hoping to welcome more of them. Would you be able to give us a talk in 2011 (we usually meet on Thursday evening, but for you we could move the day!) or are you available to visit us on Thursday 31st May 2012, just before the new Queen’s Jubilee Bank Holiday. The Village is planning a whole series of events and your talk would be brilliant to start off the celebrations. 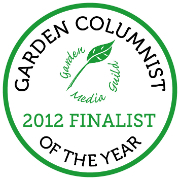 Also, would it be possible for a coach load to visit your garden in 2011 on a date to suit you? We do hope we are able to see you. Liz, I can certainly give a talk to your Hort. Soc. in 2011. Contact me via the Telegraph (helen.yemm@telegraph.co.uk) with your email address and phone number and I will contact you. Dear helen, I understand you are coming to speak to Fagus on April 18, 2011. Would you be willing to come speak to Bath Univ Garden club the following night April 19? We are about 40 minutes away and often share lectureers to make the trip more worthwhile. You would be more than welcome to spend one or two nights here with me.